OLD PARKED CARS. 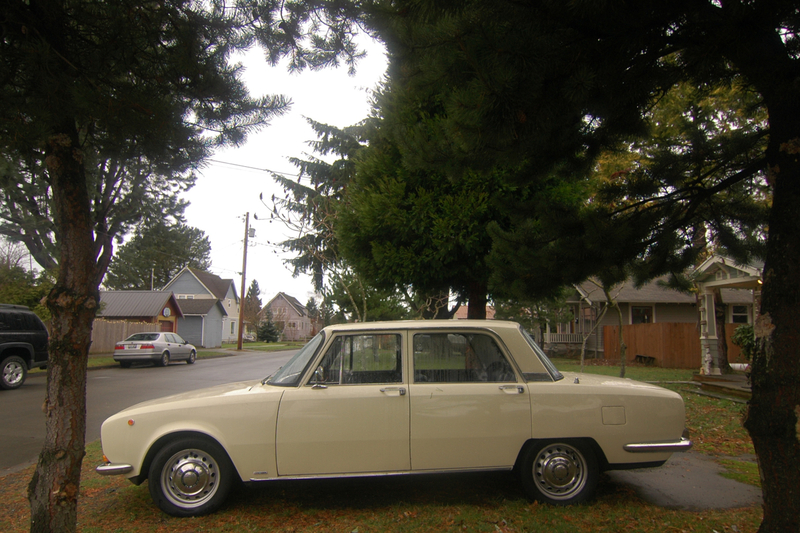 : 1970 Alfa Romeo 1750 Berlina. 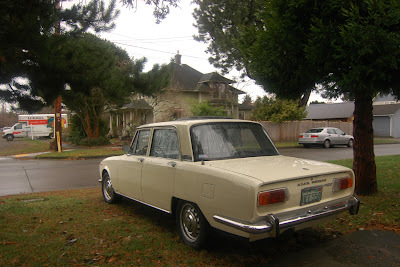 1970 Alfa Romeo 1750 Berlina. i think "berlina" is the italian word for sedan, just like "spyder" is the word for convertible. 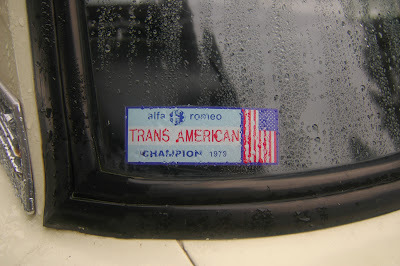 alfa uses these words as model names, but not consistently. i think this car is what the alfa enthusiasts are referring to when they say "berlina," and the other cars we have tagged as berlinas are not. those are "giulia supers." i think. so that makes this our first berlina! great find. 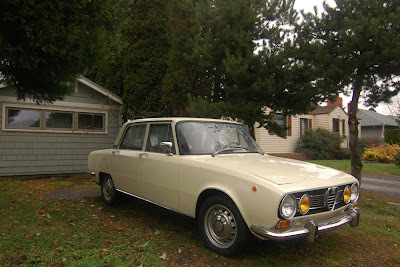 a giulia super is on my bucket-list of cars to own, but i'd pick this car instead, just for the hilarious paint color. 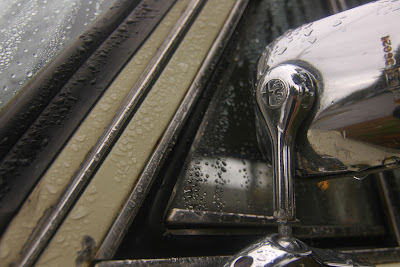 Tony: "Berlina", in italian means "Automobile chiusa a due o quattro porte", closed automobile with two or four doors. The name "Berlina" came from a classic and luxurious horse four wheel carriage, I don't know it's name in english. It recall that it was designed by Bertone (there was a little sign behind that said it) so, for the years and the particular style, I guess Giugiaro some responsability in it's beautiful lines. Just look at it: it's a work of an artist! Always wanted an old Alfa sedan. During my delivery driver years there was a black one parked (along with a GTV6) next to a customers loading dock. It had sat there for years. Unfortunately the warehouse location was in a bad part of town...one day when I pulled in, I could tell something bad had happened. Both Alfas had been treated like a trampoline with some spray tagging added...such a shame! They went to the scrapyard after that. It looks as if they used two designers. One did the front, the other did the rear. Looks like a longer, lower front end grafted onto a reskinned version of the older body. But quite nice, all the same. i also find the styling to be a bit polarizing; somewhat utilitarian in the case of the slab-sides, upright b-pillar and geometric rear wheel arch, but there's definitely some italian charm in the front and rear views. the c-pillar is a work of art in itself, and the car is complemented by the small bumpers and gorgeous steel wheels. the details like the side mirrors really stand out on such a canvas. Beautiful vehicles. I own a 1975 Alfa Romeo Alfetta myself, which came after this one. Fast, economical, with superb handling. Every true car enthusiast should own and Alfa before it’s too late. They are getting few and far between. I actually like that pale yellow color.